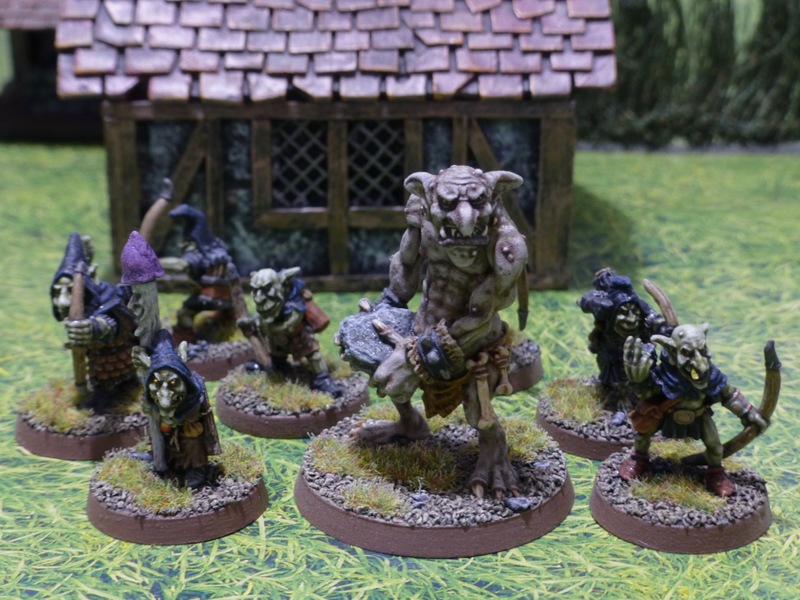 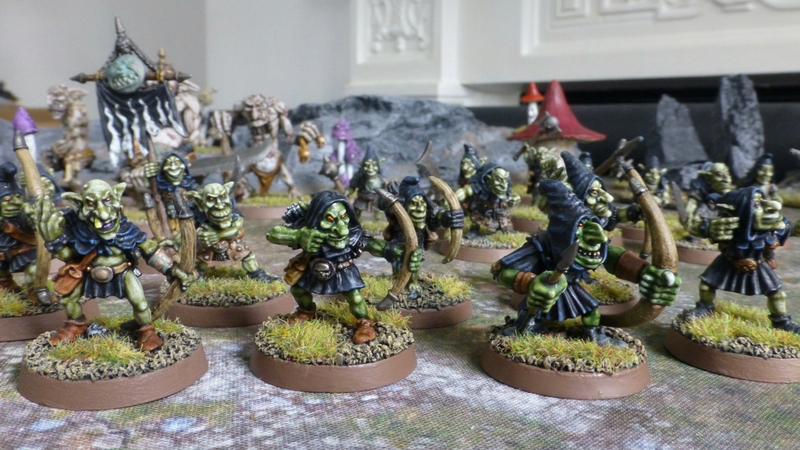 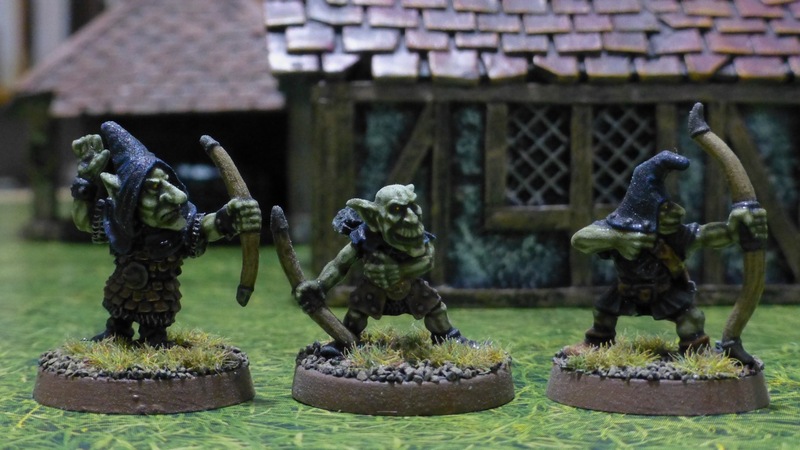 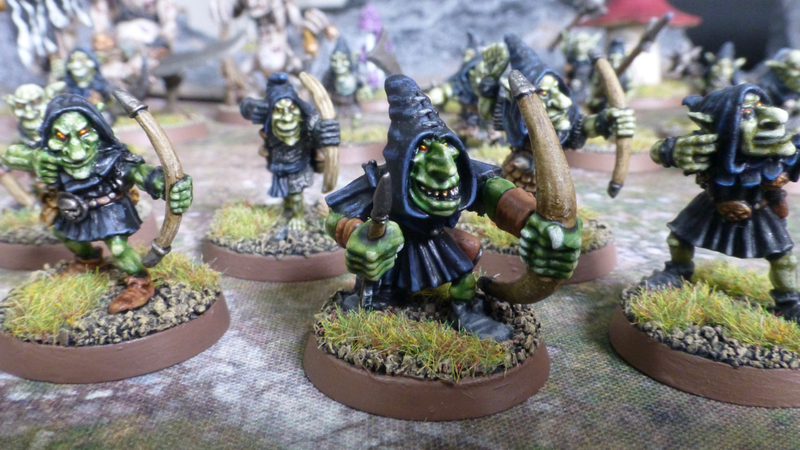 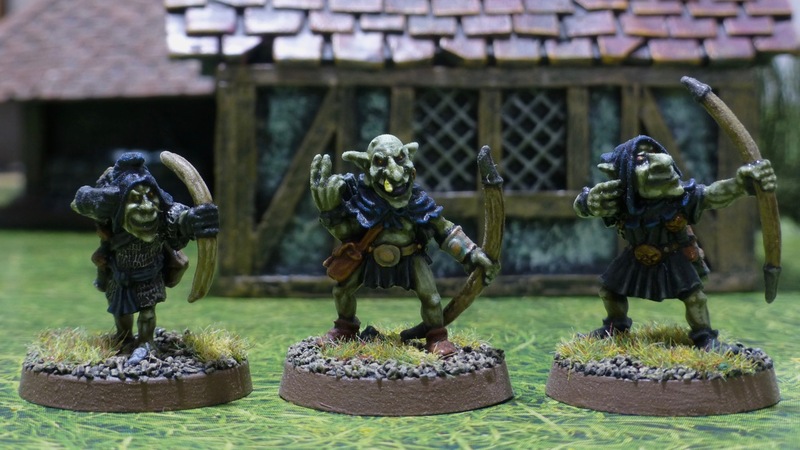 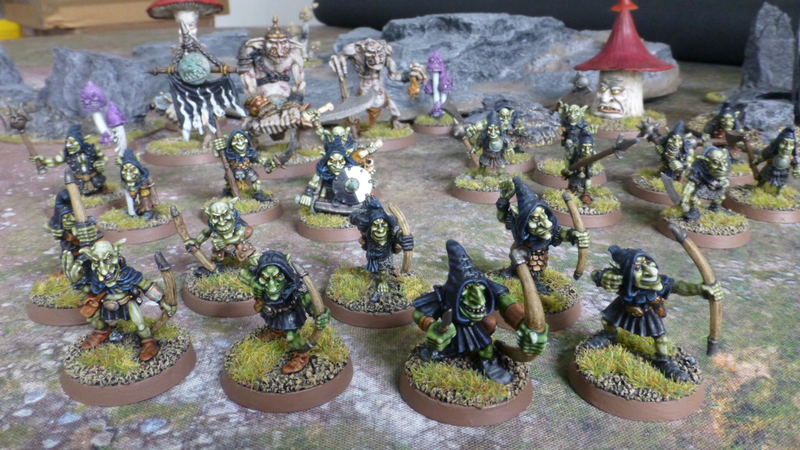 The second half of the Doom Goblin tribe I am painting for Dragon Rampant consists of some archers, a shaman and a trio of cave trolls. 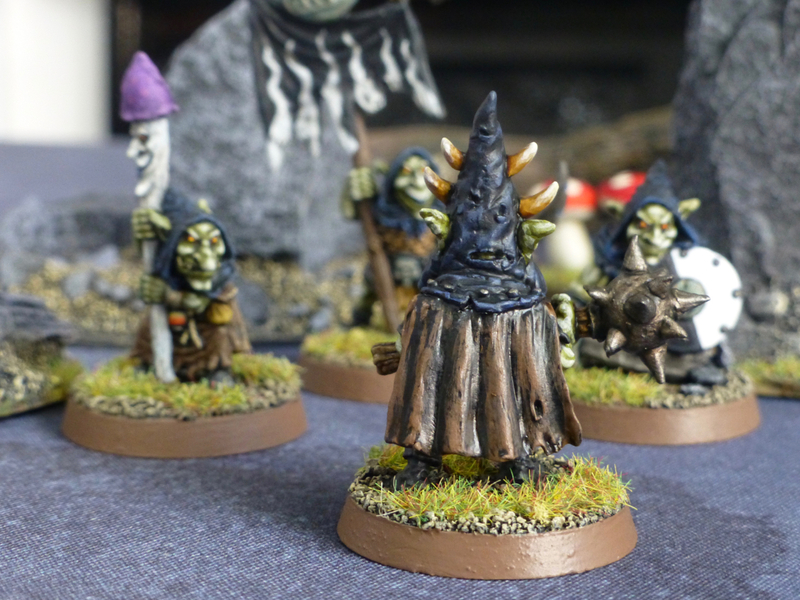 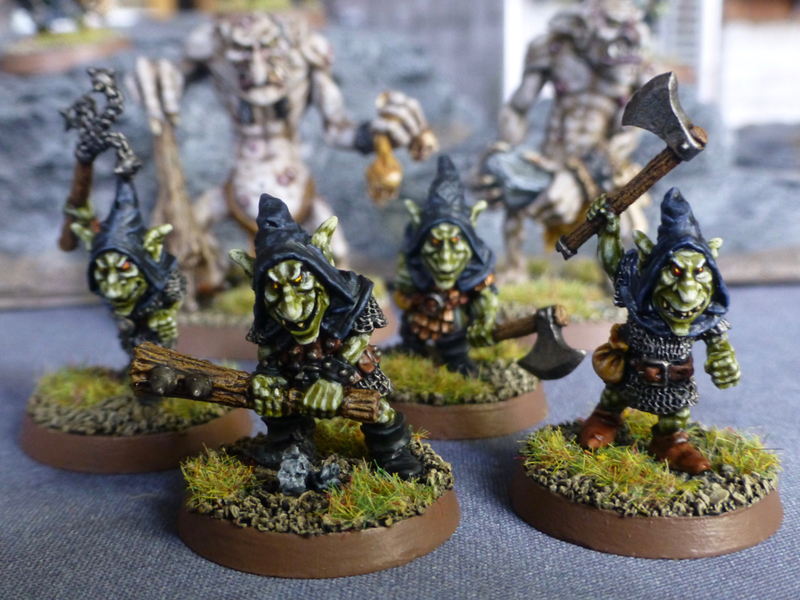 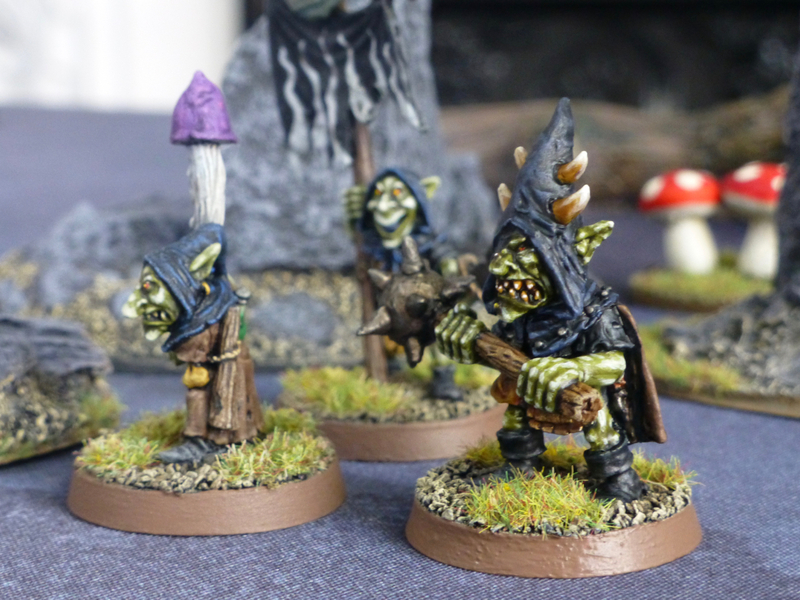 Since I was one bowman short of a six strong unit of scouts I added a plastic Night Goblin from the Warhammer 4th Edition box set. 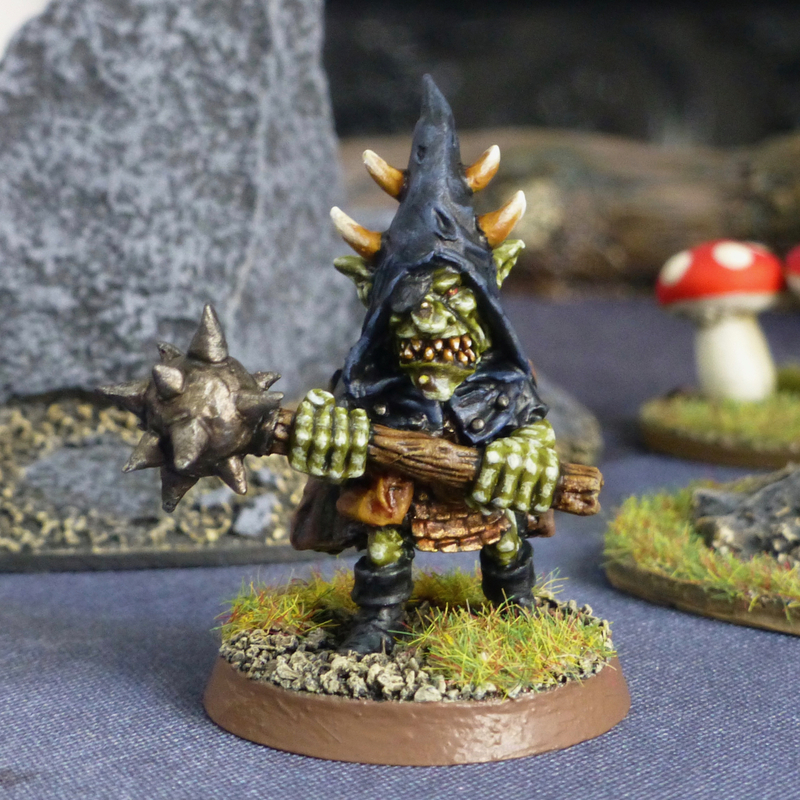 Unfortunately the Army Painter anti-shine spray applied over Citadel gloss varnish looks like a layer of dust on all the miniatures in the photos – might have to switch to another supplier. 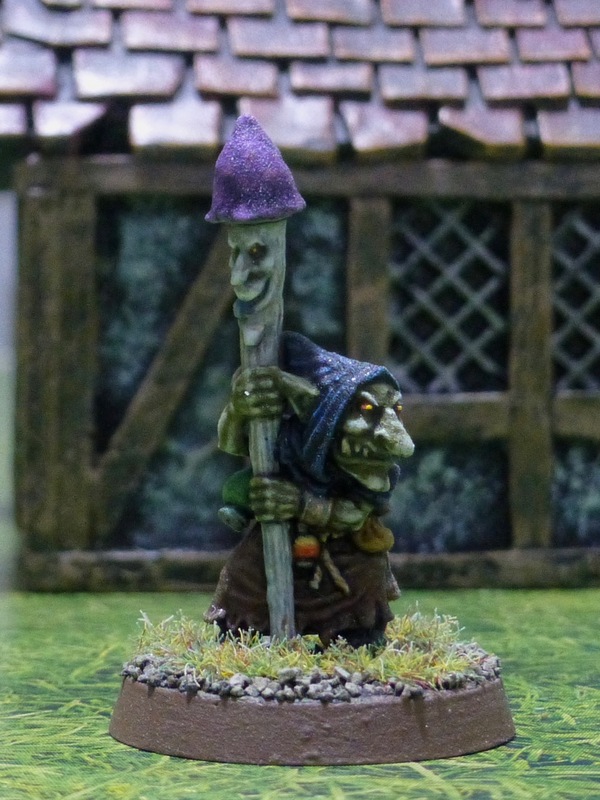 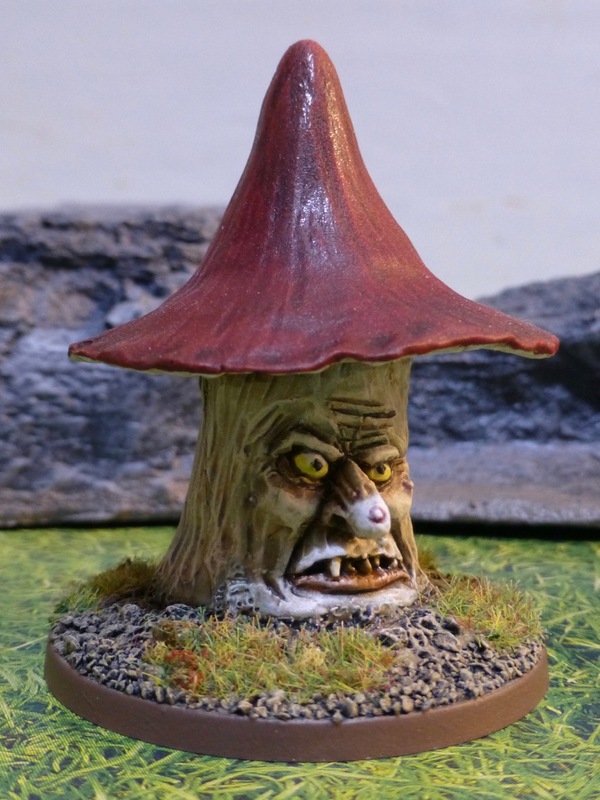 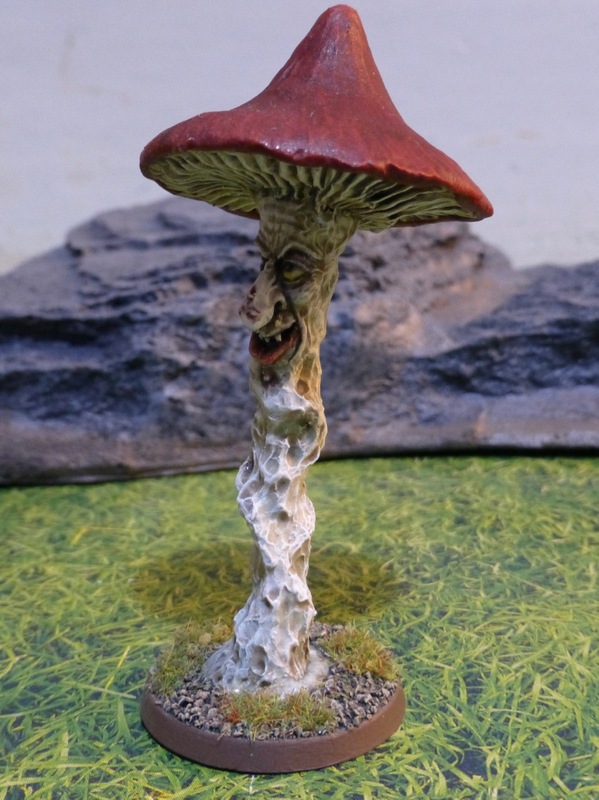 The shaman with his mushroom staff is another characterful figure from the hands of Goblinmaster Kev Adams. 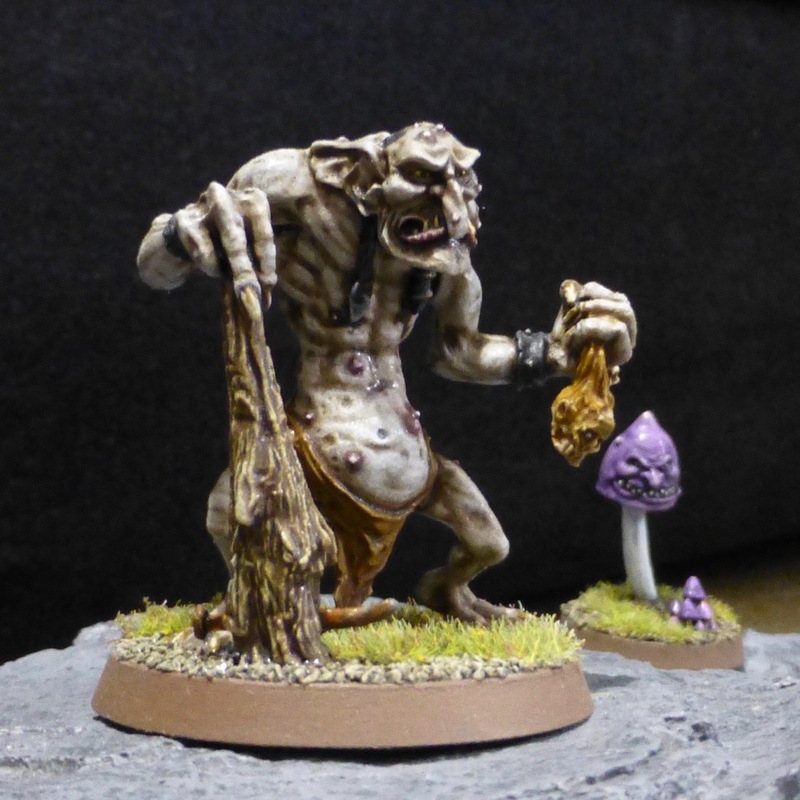 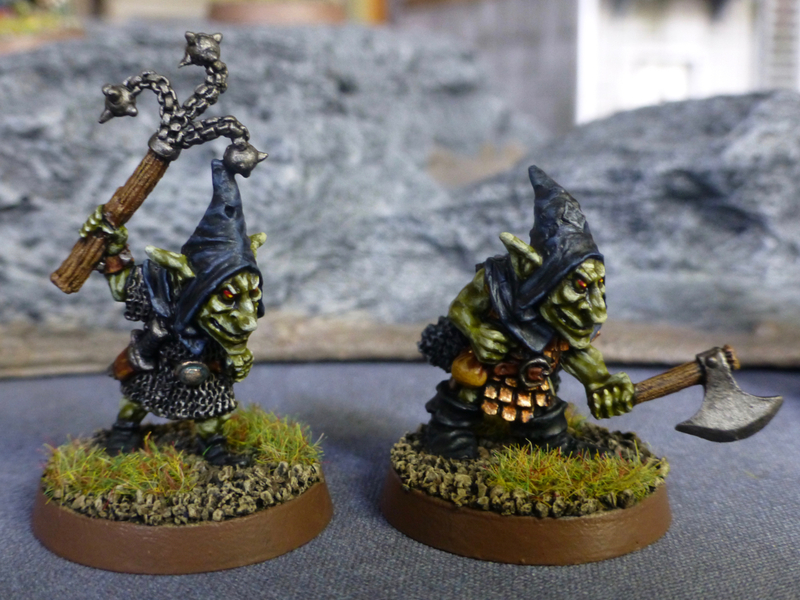 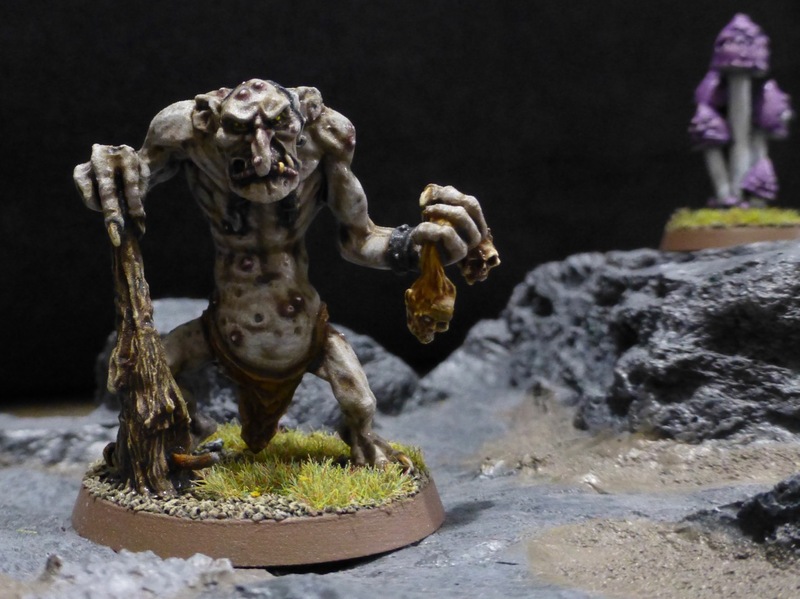 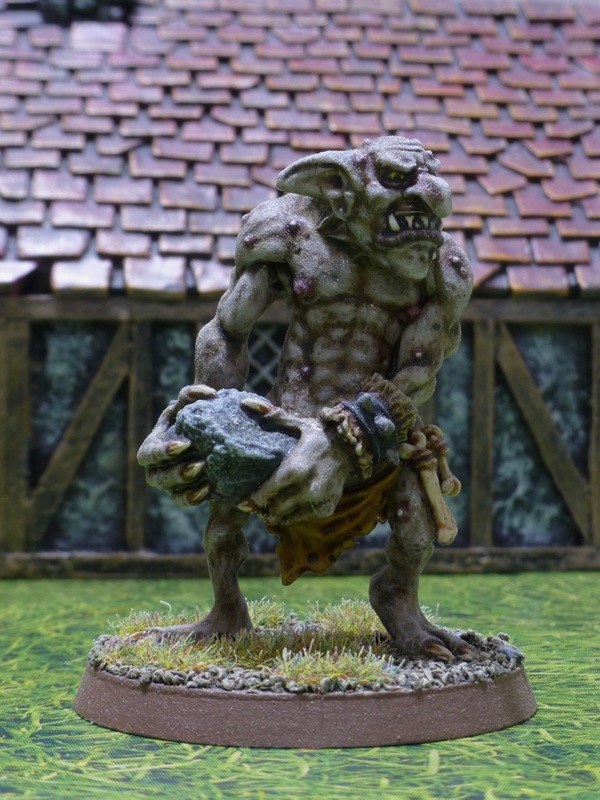 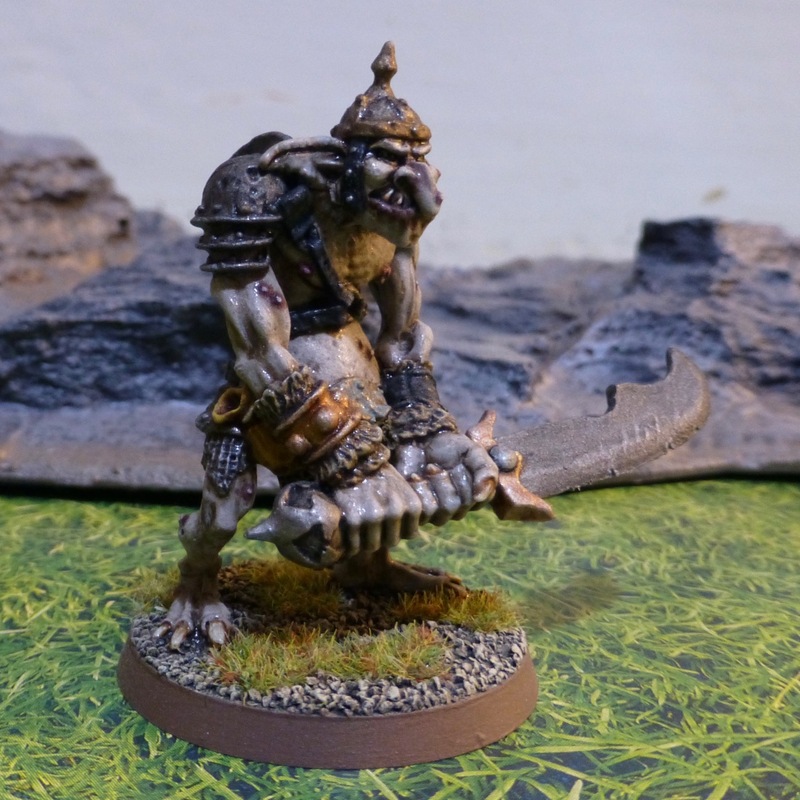 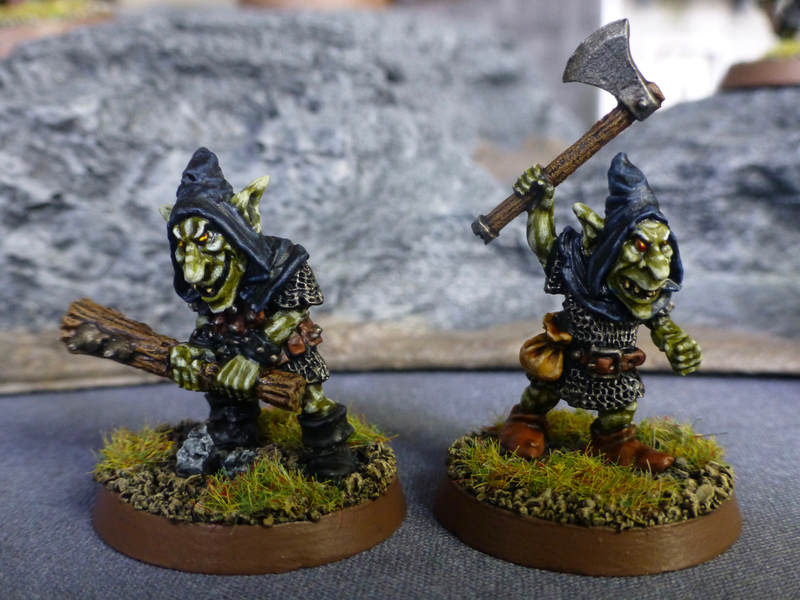 The first of the cave trolls I finished is a sculpt by Diego Serrata Pinilla, the owner of Knightmare Miniatures. 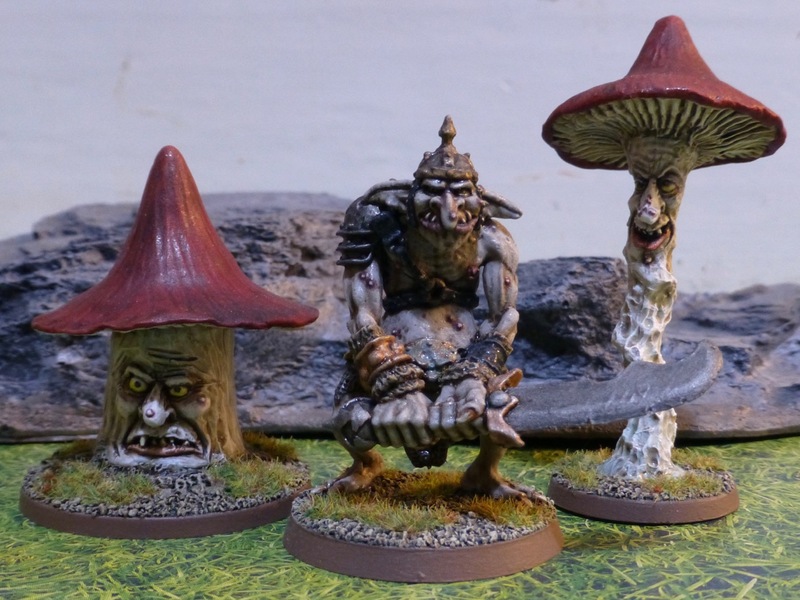 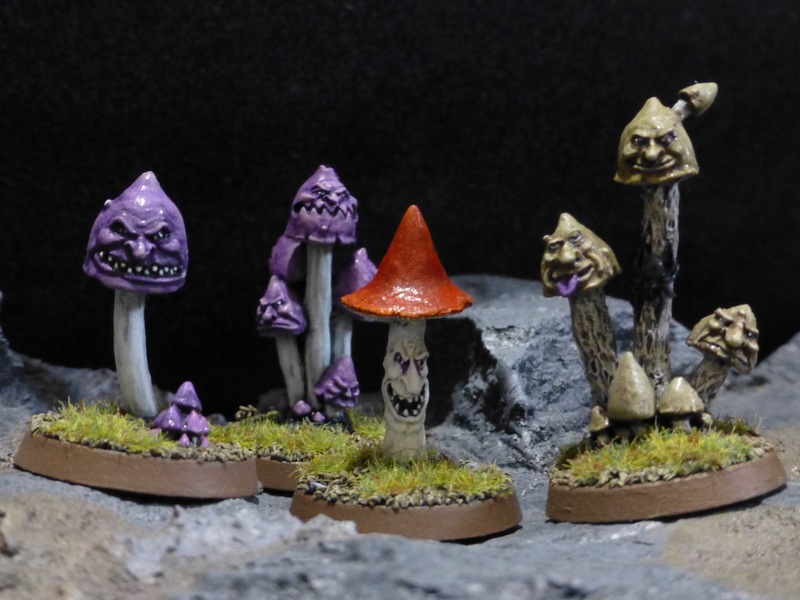 Now I am just missing two trolls, and a bunch of mushrooms as a bonus, which I’ll either use as terrain or to accompany the shaman in a unit.